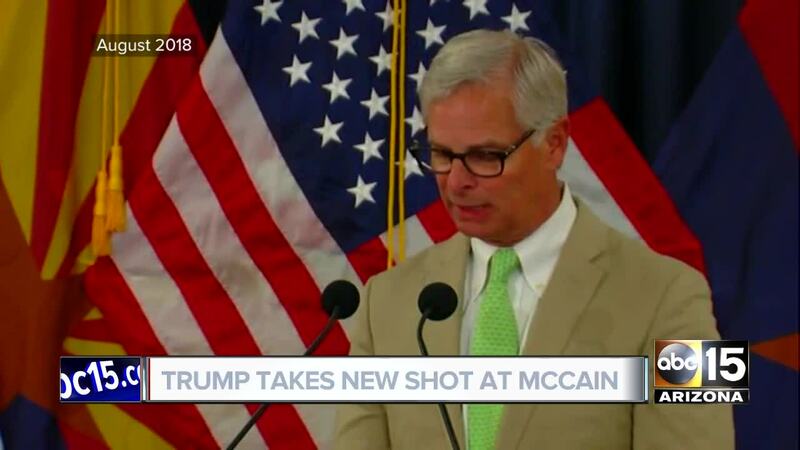 PHOENIX — Video from the days after the passing of Senator John McCain disproves President Donald Trump's claim at a rally Wednesday that the McCain family never thanked him for his administration's role in remembering the late Arizona senator. "The family has asked that I first thank some people who have been very instrumental in helping to pull together with such short notice this week's funeral plans," Davis said. Watch all of the people and organizations Davis thanks in the player above. 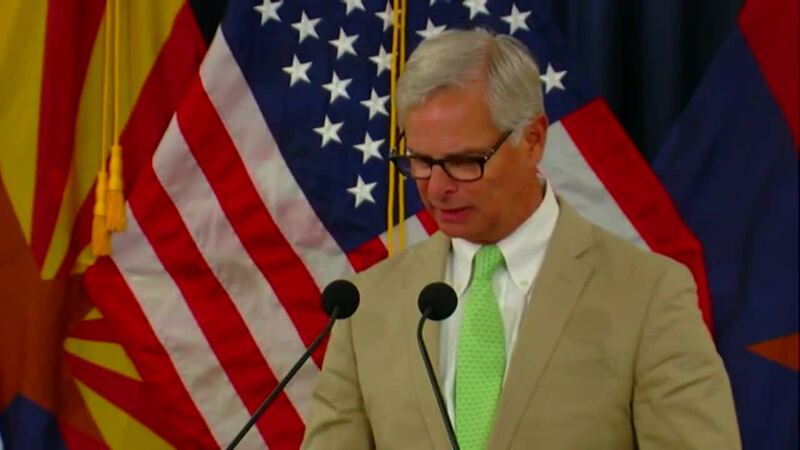 Davis first thanked Arizona Governor Doug Ducey and his staff for the arrangements to have McCain lie in state at the capitol and his funeral at North Phoenix Baptist Church. At a rally at a tank factory in Lima, Ohio on Wednesday, Trump claimed that he said he didn't get thanked for his role in approving certain aspects of McCain's state funeral..
"I endorsed him at his request, and I gave him the kind of funeral that he wanted, which as President, I had to approve. I don't care about this; I didn't get thank yous. That's OK. But I wasn't a fan of John McCain's," he said. Trump's claim continues an ongoing feud he had with McCain dating back to the campaign trail but his attacks have come nearly every day this week, starting with tweets over the weekend about McCain's discussions about the Steele Dossier with the FBI and a dramatic, thumbs-down vote against an effort to repeal the Affordable Care Act.